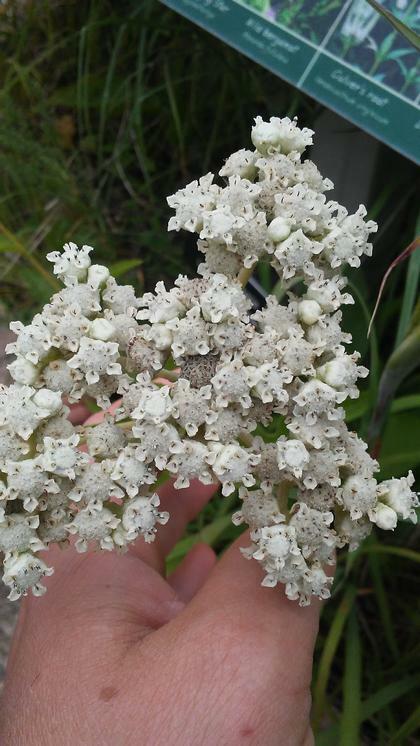 Wooly looking white flower clusters, each flower with five tiny ray flowers. Large smooth lance shaped leaves are smooth and green with toothed edges. Great for naturalizing in meadows, prairies or cottage gardens.